After 2 years of being online, OurBerries has turned 2! We started off in October 2010, with a humble simple FAQ page. Targeted to help BlackBerry users as well as to share tips and information, we slowly grew to providing both news and reviews to everyone as well. Perhaps some of you would have remembered me saying read the FAQ, over and over again if I had actually answered the question in the FAQ already. As irritating as it may sound, most would have started checking up the FAQ and we have seen the traffic spike. Just last year, we launched the new ourberries.com, right here together with our application early this year. In June, we had it submitted to the appworld and now in September, it was further revamped into a Super-App. Now in October, its finally our second anniversary. We have now a backup site for the FAQ: www.ourberries.info. Running on SoftLayer servers instead of M1’s, this would help provide redundancy for not only our users but for the precious FAQ. In addition, now we also have the OurBerries Swags! 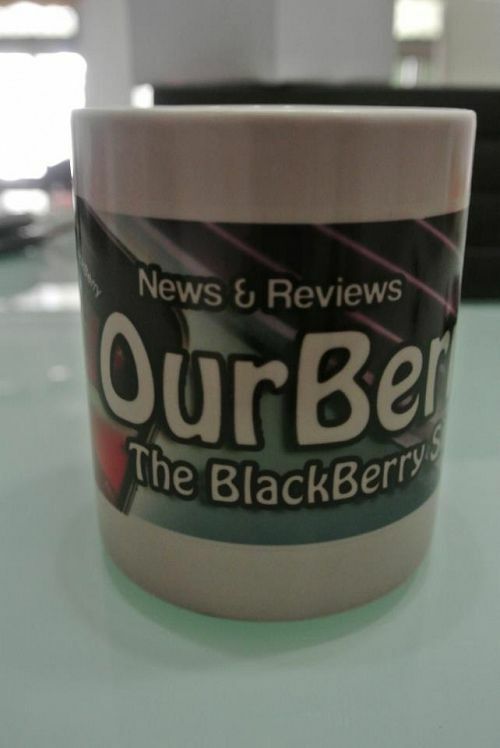 To begin, here we have the OurBerries mug, which is actually heat sensitive. At normal temperatures, it would be solid black in colour. Adding in warm/hot water, it would change and unveil OurBerries. Usually these sort of mugs would cost $16 (should you get it at stores), but for OurBerries swags, we have it at just $12, limited quantities available. Postage starts at $3 for normal mail, $5 for courier delivery. Grab yours today! And of course, we will be giving away a couple of this; just drop us an email ([email protected]) with your BBM Pin and a nice photo of your BlackBerry device for a chance to win this! Contest ends on 9 November 2012. Winners will be contacted via BBM.